City academics have contributed to research showing important differences between midwifery units, home births and obstetric units in terms of the benefits and risks for mothers and babies. New research shows that while women with straightforward pregnancies can choose from a range of safe birth settings, there are some important differences between midwifery units, home births and obstetric unit in terms of the benefits and risks for the mother and baby. Alison Macfarlane, Professor of Perinatal Health, Christine McCourt, Professor of Maternal and Child Health and Juliet Rayment, Research Associate, City University London were contributors to the Birthplace in England study of almost 65,000 'low risk' births - the first of its type and scale. The study compared data from nearly 17,000 planned home births, nearly 20,000 planned obstetric unit births and 28,000 planned midwifery unit births and was led by a team at Oxford University's National Perinatal Epidemiology Unit. 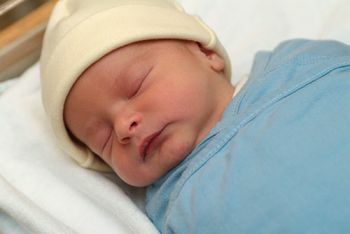 The research showed that overall outcomes for the baby did not appear to differ between the planned places of birth. Among almost 65,000 'low risk' births, there were only 250 births where the baby had a poor outcome. For mothers planning to give birth in a midwifery unit, the risk of a poor outcome was no higher than in an obstetric unit. This was also true for women planning birth at home, except for first-time mothers, who were more likely to have a poor outcome than first-time mothers planning a birth in an obstetric unit. All mothers planning to give birth at home or in a midwifery unit had substantially fewer interventions, including epidurals, assisted deliveries (forceps and vacuum) and caesarean sections, compared to women planning births in obstetric units. The study also mapped birthplace provision across England. Organisational case studies also looked at issues that may impact on the way birth care is provided and on the experiences of professionals and mothers planning birth. The researchers found that costs are lower for births planned at home and in midwifery units than in obstetric units. Professor McCourt says the research identifies areas to be improved to support the safety and quality of maternity care and provide equitable access for women to a range of care options: "The safety, lower costs and fewer interventions seen in midwifery units suggest we could see their prevalence increased in the future, alongside an increase in the number of midwives." The researchers say the guidance given to women in planning where they want to give birth can now be updated to take account of the study findings. Click here for more research outcomes.